I think I’ve found a new addiction! I’ve been having a blast carving my own rubber stamps this past week, and I wanted to share a couple of my favorites with you. This herringbone stamp was the first one that I quickly carved, and I’ve used it a bunch already. It’s cute on it’s own, as part of an arrow, or pieced together to form a larger background. It was super easy, and I love how versatile it is! 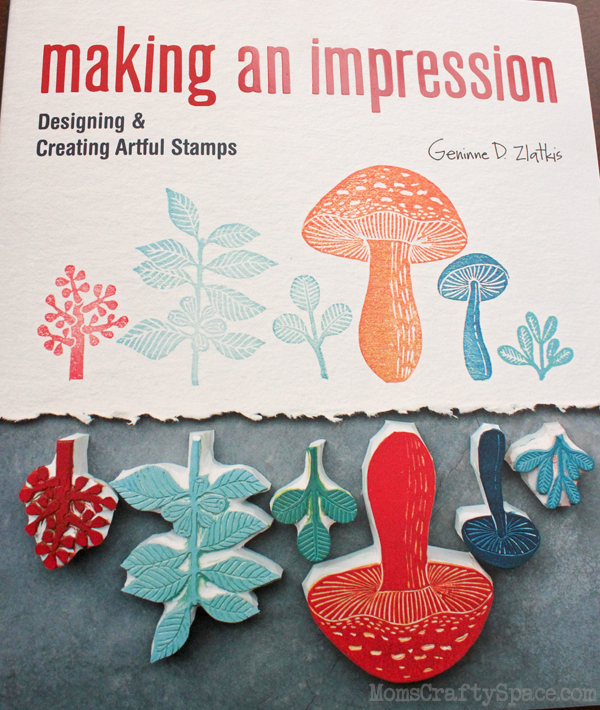 It all started when I received a copy of Making an Impression: Designing & Creating Artful Stamps by Geninne D. Zlatkis from Lark Crafts. I’ve been a fan of Geninne’s work for a long time now, so seeing it translated into this book was super exciting for me. The book gives detailed step-by-step instructions and helpful tips for carving your own stamps, and then it shows you some incredible and creative uses for your stamps. 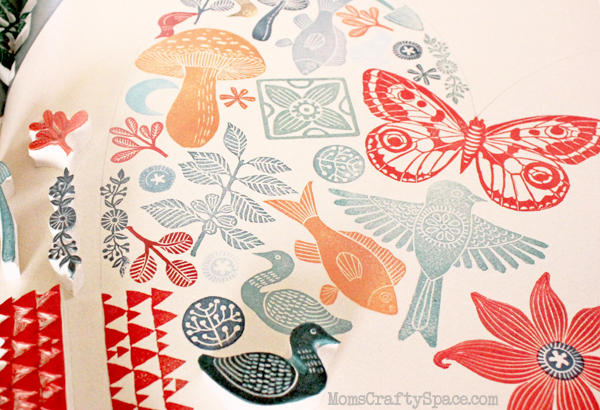 This heart filled with nature motifs is my absolute favorite project in the book. It looks so simple and intricate at the same time, which I find totally intriguing. 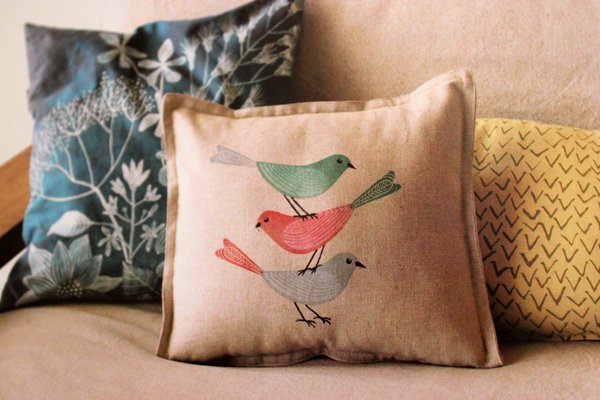 Stamping on fabric to create a pillow is a great idea! 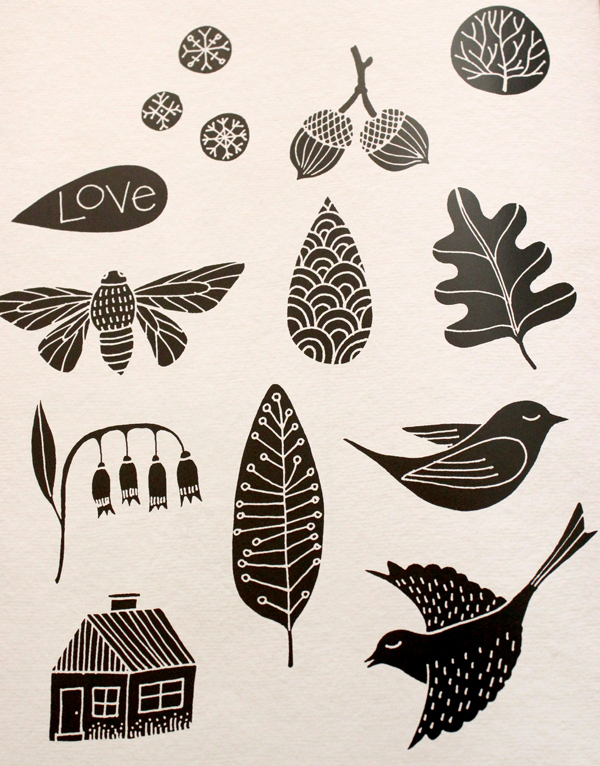 Geninne also includes several pages of designs that you can use to create your own stamps. 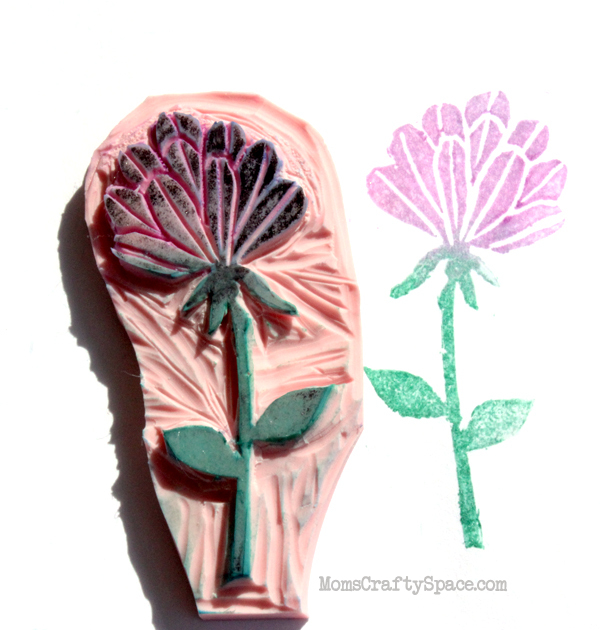 I used a laser printer and a warm iron to transfer one of the floral designs on to my carving block to carve this stamp. It was my first attempt, so it’s not totally perfect, but it came out pretty nice anyway, and it inspired me to keep trying again. I’m mid-carve on one of the bird designs, but I’m taking it slower this time to avoid any accidental mistakes. The carving blocks cut as easily as butter with the right tools, so it’s good advice to take your time to avoid any missteps. 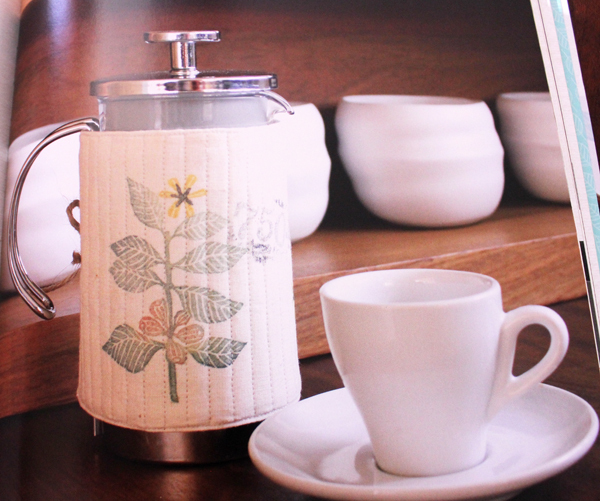 I love the idea of stamping, sewing and quilting to create this sweet little cozy. 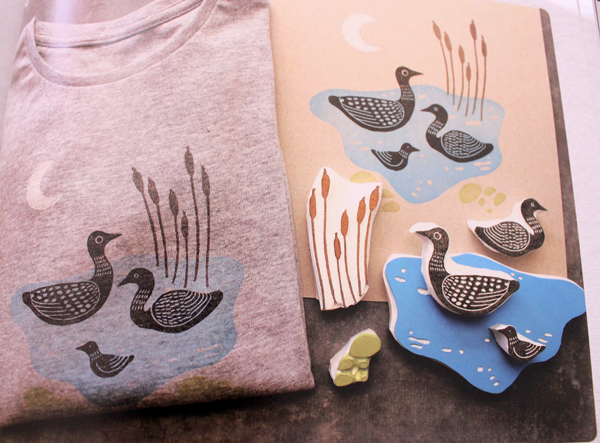 My boys want me to make some stamps that they can use to create their own t-shirts like these ones in the book. So cute! If you want a chance to win a copy of this great book for yourself, head over to Homework where Carolyn is giving one away! Disclaimer:I received this book from Lark Crafts at no charge, but all opinions expressed are my own! 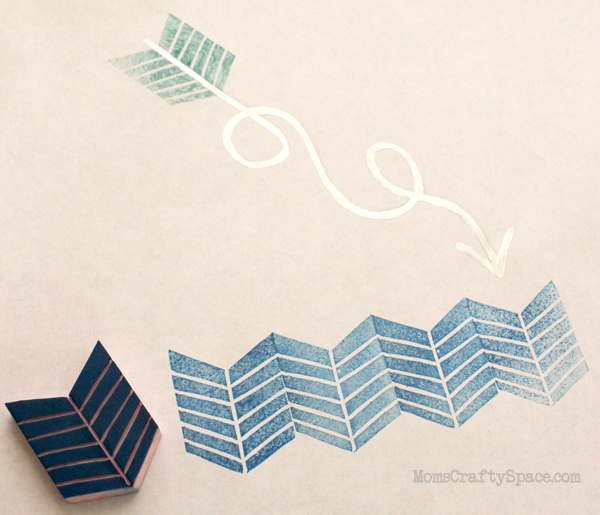 i looove stamps they are so versatile!